I am always a fan of crafty shortcuts. If there is a fast dry glue I'm in, a dye with fewer steps sign me up and any no-sew project is a friend of mine. One of my favorite crafty shortcuts is faking the look of embroidered stitches with Puffy Paint. My felt appliquéd Christmas tree skirt and Slice of Citrus Tote are perfect examples. I love the look of beading and thought, why couldn't I get the same look with Puffy Paint in place of beads. 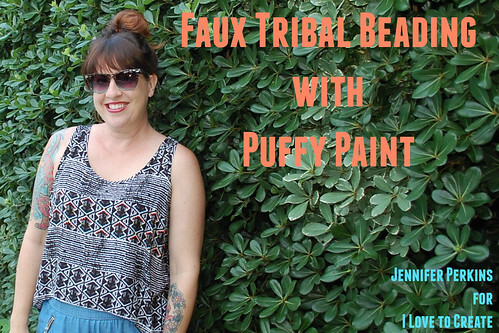 What piece of clothing you add faux beads to is up to you. 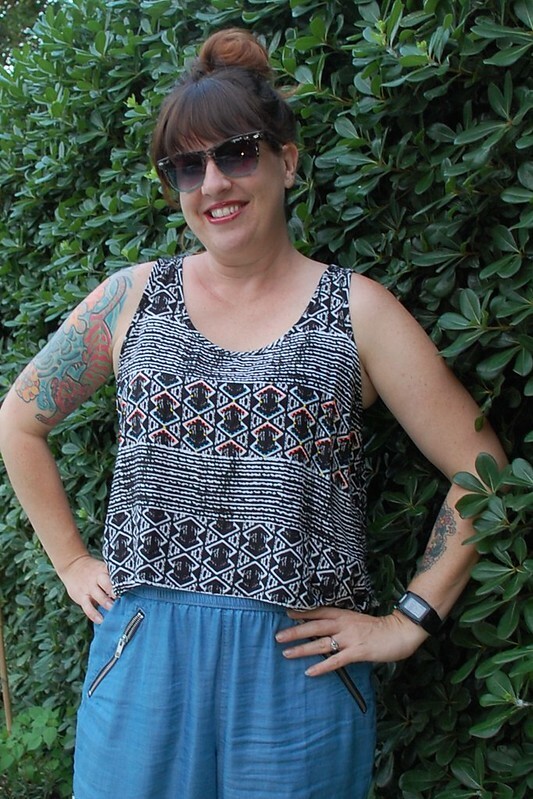 I opted for a blouse that already had a tribal vibe. 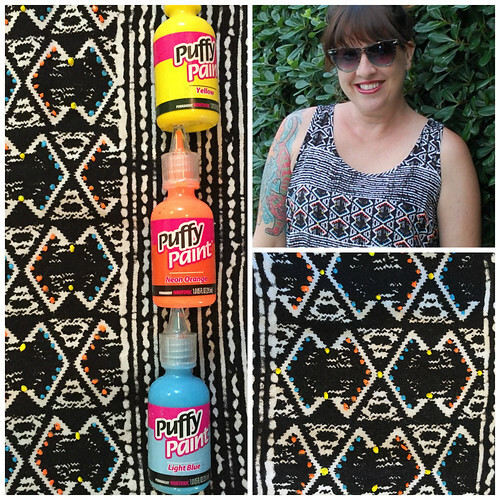 Following the pattern in the fabric I used my Puffy Paint, one color at a time, to add 'beads'. 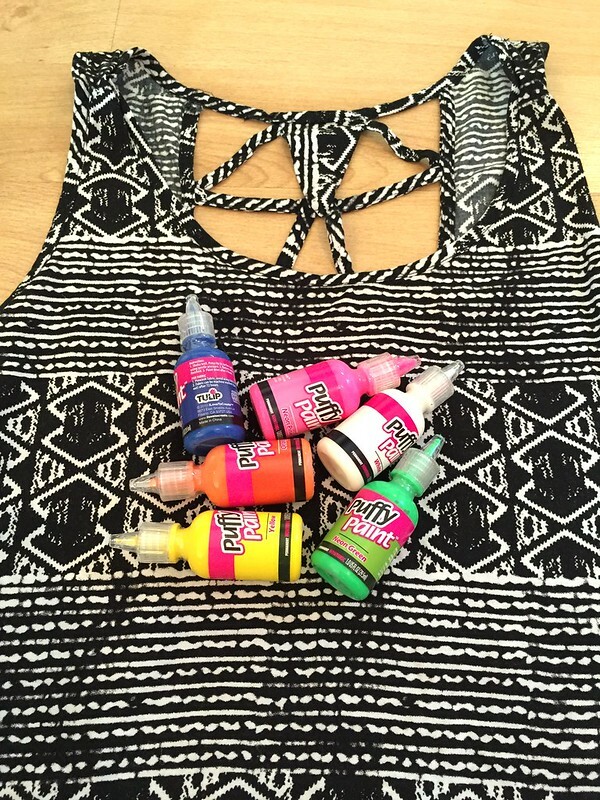 The beauty of Puffy Paint is the thick and steady stream that comes out of the bottles. When doing faux embroidery you add dashes. 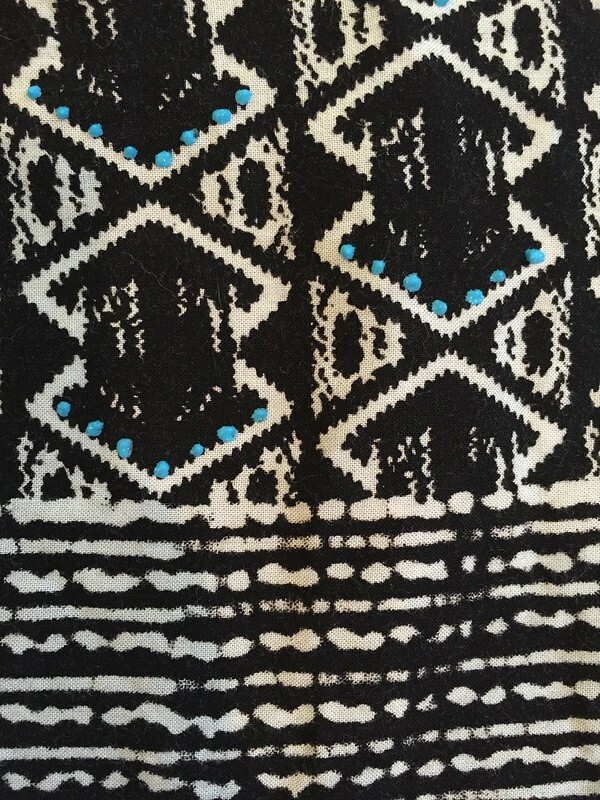 With faux beads you just make thick polka dots. 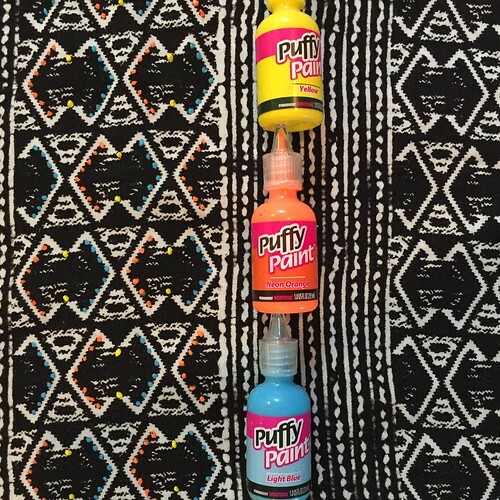 Allow your Puffy Paint Beads to dry. Hooray yet another Puffy Paint short cut to add to my crafty repertoire. So cute-will try this for sure!